It's also about encouraging us to monitor our blood pressure - in short, to get to know our numbers! 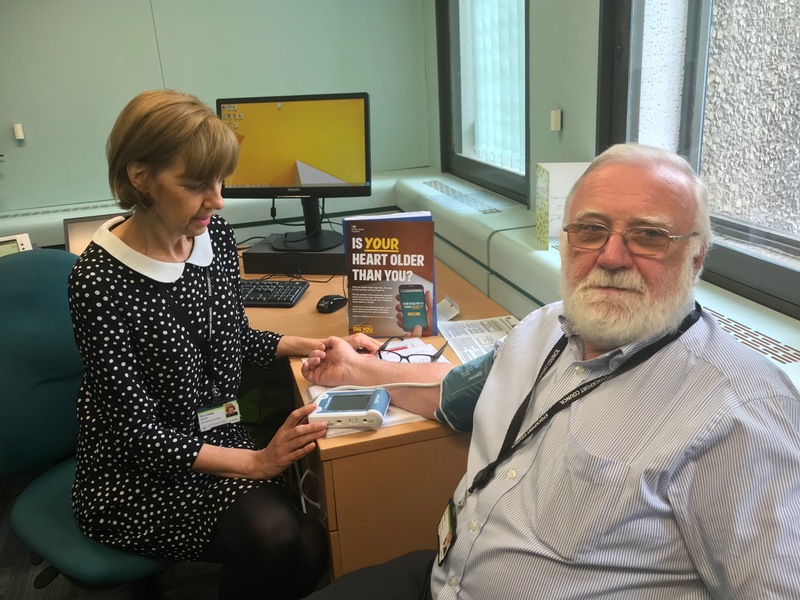 Health and council leaders in Stockport are backing the campaign and want everyone over 40 to get their blood pressure checked if they don’t already know what it is. High blood pressure – medically known as hypertension – often has no symptoms but significantly increases your risk of having a stroke or heart attack and is one of the main factors in heart and kidney disease. A quick and painless test can identify the problem but while 43,000 people in Stockport have been diagnosed with hypertension and are being treated, it’s believed around 15,000 people have high blood pressure and don’t know it. Dr Simon Woodworth, a local GP and Medical Director for Stockport CCG, said “Having your blood pressure taken costs you nothing but we have a huge number of people in Stockport who are putting themselves at unnecessary risk by not having it done. Councillor Tom McGee, Cabinet Member for Health said: “High blood pressure can put you at risk of serious illness and death. As it doesn’t show symptoms it is very important to get your blood pressure checked at least once a year. I had my blood pressure checked recently and it's very quick and you get the results instantly. If you can get to your practice then a quick test will tell you if your blood pressure is higher than it should be and there are plenty of ways to treat it. You are said to have hypertension if your reading consistently shows your blood pressure to be 140/90 or higher. Ideally you should aim for a reading under 120/80. If your blood pressure is slightly raised it can often be brought down to a healthier level by some modest lifestyle adjustments – losing a bit of weight, doing some more exercise and reducing the amount of salt in your diet. If it is too high, it can be treated with a combination of lifestyle changes and medication. Your doctor will advise on the best way to deal with it. The only way to find out what your blood pressure is to have regular checks. Keep a record yourself and remember the numbers in the same way as your height and weight. In other words, Know your Numbers! - and encourage your family and friends to do the same.